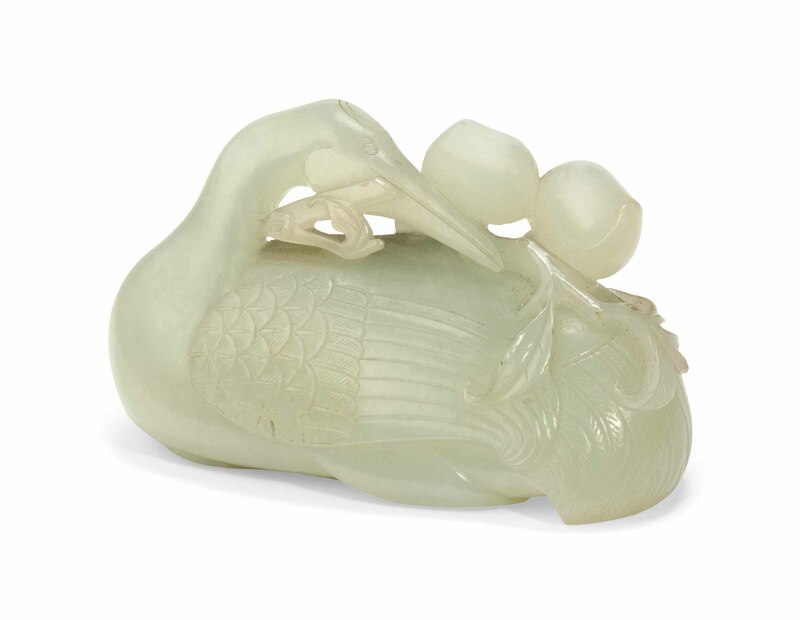 The bird is carved and pierced with its head turned over its body, a leafy spray of peaches in its beak, and its webbed feet tucked under its body. Its feathers are finely detailed. The stone is of a pale even tone. 3? in. (7.7 cm.) diam.